Replacing a great manager is a daunting prospect. Managing an elite team to success is a major challenge. David Moyes knows only too well with his brief reign ending abruptly yesterday. Regrettably, winning titles and inspiring players were not his key skills. 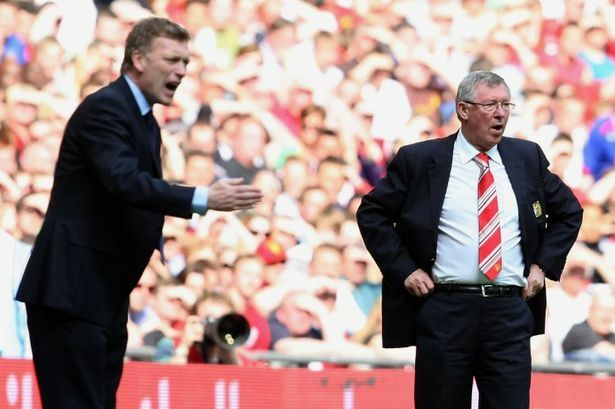 It appears some of the players didn’t quite buy into Ferguson’s replacement. The appointment of Ryan Giggs as interim manager suggests that there were some in the club resistant to change, and it probably affected both Moyes and the squad. The new methods and the old culture just didn't 'fit'. Publishers can learn a lot from the travails of Moyes and Man Utd. Change Management is a significant challenge in most publishing companies these days, increased downward pressure on print sales forces most to reevaluate the digital side of the business. Managed correctly, this change can ensure sustainability, manage it poorly and you get confusion and dressing room revolts! Whether you view digital publishing as a phenomenon, evolution or revolution, how your publishing organisation adapts to the rapidly changing operating environment is crucial to the success of your business. Since Amazon first launched the Kindle in 2007, the publishing industry has experienced unparalleled change across business models, structures and channels. We have helped a number of publishers through this transition and it really boils down to the ability of an organisation to identify and communicate a vision of where it is now and the desired future state. Management need the teams buy-in and this is hard to achieve without a clear vision. Did Moyes have a vision for the future of Man Utd? If he did, he certainly didn’t get much time to try and realize it! Questionable signings probably led to doubts about his vision and levels of ambition, and then started chipping away at his credibility. So how should have Moyes manage change? Well, the aim of change management is to more effectively and efficiently implement new systems, structures, methods and policies in an ongoing organization. The technical side of change involves the physical aspects of the change such as new methods, systems, processes, structures. The cultural dimension involves aspects such as changes or impacts on the values, behaviours, norms and attitudes in the organization with respect to the overall change – the “people side” of change. Leadership of any change initiative is critical to success. There are many reasons that leadership is a key ingredient for successful change. People tend to pay attention to what their leaders say and do…their “bosses”. If a leader is not committed to a change, it is unlikely that their lower level managers and employees will be committed or have the power to drive the sustained fundamental change. For change projects to be most efficient and effective, visible commitment and advocacy for the change must be exhibited by the most influential executives in the organization. In addition, those leaders and managers that have a key or direct stake in changing the specific systems, processes or policies my commit to and advocate the changes. If people do not see the organization’s influential leaders backing a project, they will be very unlikely to change.